A couple of months ago, I’d never heard of Beaches. I’d heard of the parent company Sandals (everyone has heard of them and those romantic couples holidays, right?) But I had no idea the same company also has three resorts, aimed at everyone, called Beaches. Fast forward to now, and not only have I been on a Beaches holiday but it’s safe to say, I’ve had one of the best holidays of my life at a Beaches resort. 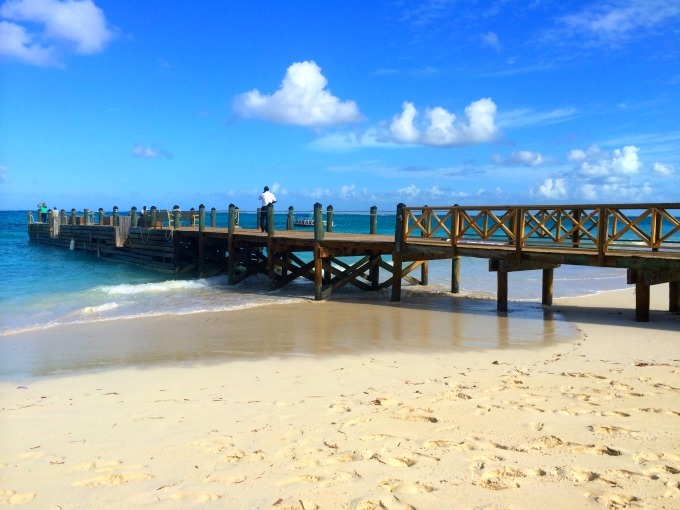 We flew from Heathrow to Miami (just under ten hours) with American Airlines, then after a four hour wait in Miami Airport, we hopped on a short American Airlines flight (1 hr 20) to Providenciales in the Turks and Caicos Islands. The journey was thankfully smooth and all of the kids coped so well with the long day. Before we went, I was genuinely a bit stressed about the flight, wondering how I’d possibly entertain my four-year-old for ten hours (never mind the five hours after that). I didn’t like to go on about it at the time, for fear of getting lots of “Oh poor YOU, worried about how you’ll cope on the long journey to the CARIBBEAN” responses, but I was genuinely worried. So it was such a relief to find the journey was actually fine. It’s six years since I’ve done a transatlantic flight and in that time, I’m amazed at how in-flight entertainment has improved. We had a touch screen TV with dozens of movies and TV shows to choose from. The four-year-old watched Frozen, Tangled, a few episodes of Sofia the First and listened to a Disney music album. We also each had a plug socket and USB socket too, meaning we could charge iPhones and iPads. Such a brilliant feature when you’re on a long flight and might lose power. 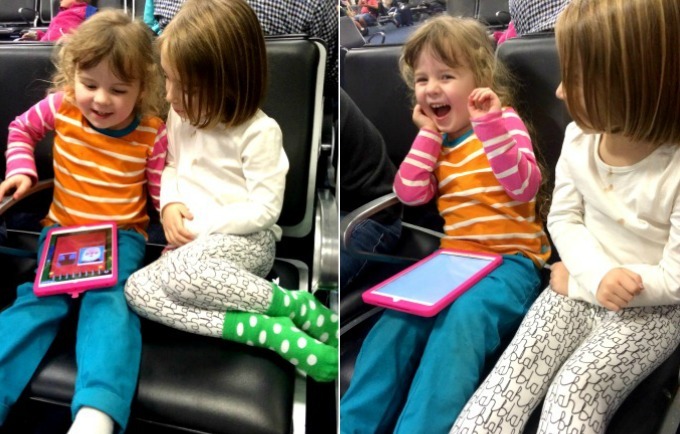 By the time we got to Miami Airport, the girls were as thick as thieves, running around together and playing games on the iPad. Only fighting a little bit (ahem) over whose turn it was. 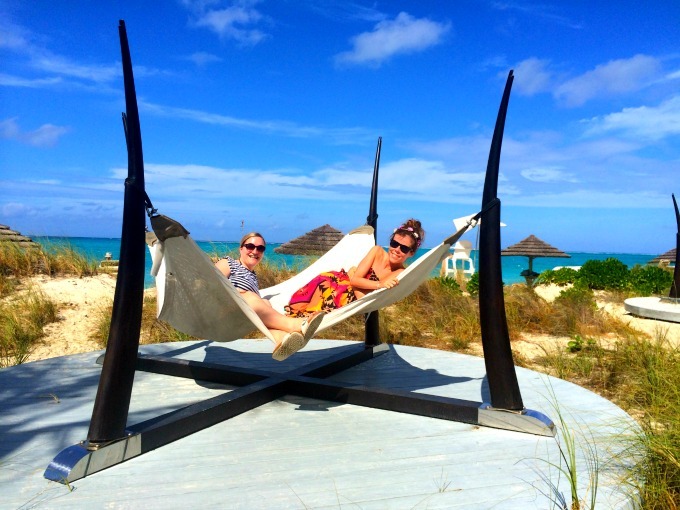 When we got to Providenciales, the kids had been awake for 22 hours so I think they deserve a medal for being so brilliant. There wasn’t a medal waiting at the airport, but there was a chauffeur driven car which whisked us away on the 15 minute drive to the Beaches resort, and as we got out of the car, we were given a cold wet flannel and welcome drink. They sure know how to make a weary traveller feel happy. Caribbean village: On the beach, some older-looking accommodation but still lovely with walnut furniture and balconies. 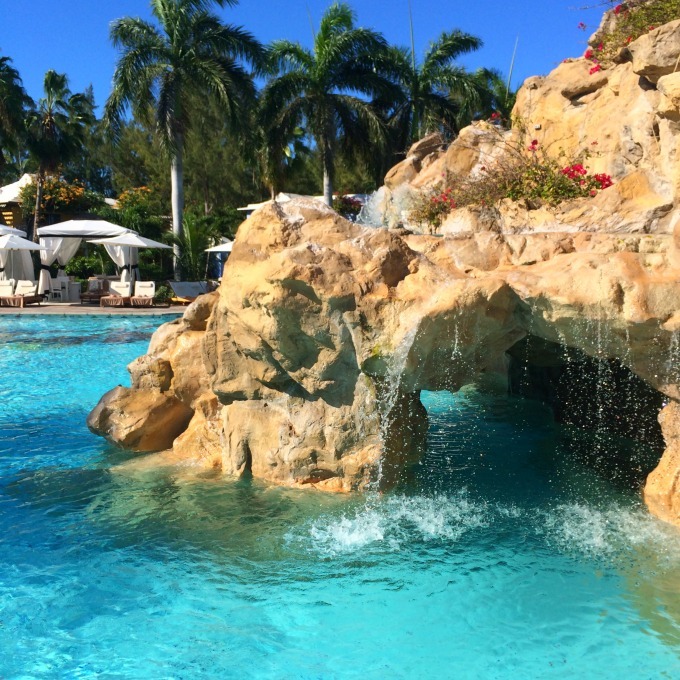 Fantastic pools and the amazeballs Arizona’s restaurant where you can eat jerk chicken, beautiful salads and more. 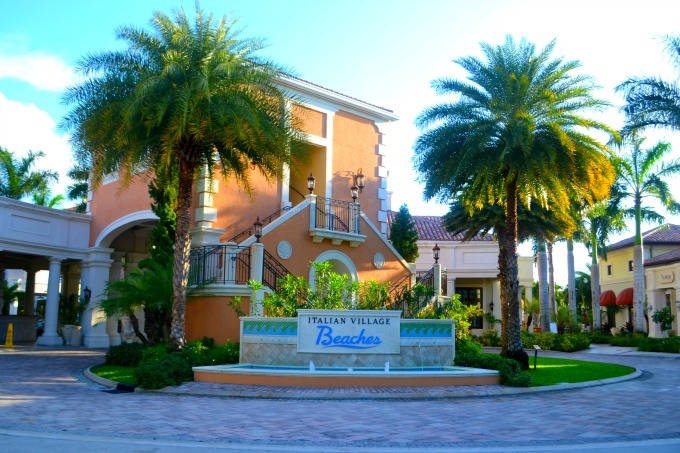 Italian village: On the beach, gorgeous accommodation aimed more towards families, huge lively pool, shops and the brilliant Barefoot By The Sea restaurant, which sees you dine on the sand. 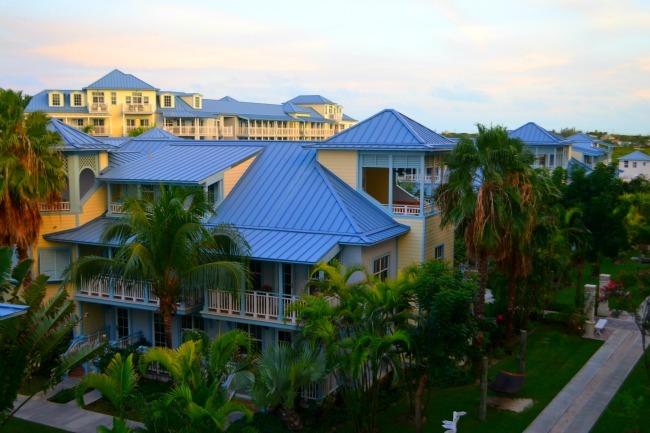 Key West village: On the beach, the newest area (it opened in 2014) with beautiful rooms and villas which accommodate larger groups and families. Has two pools, one by the beach and a smaller, quieter pool. 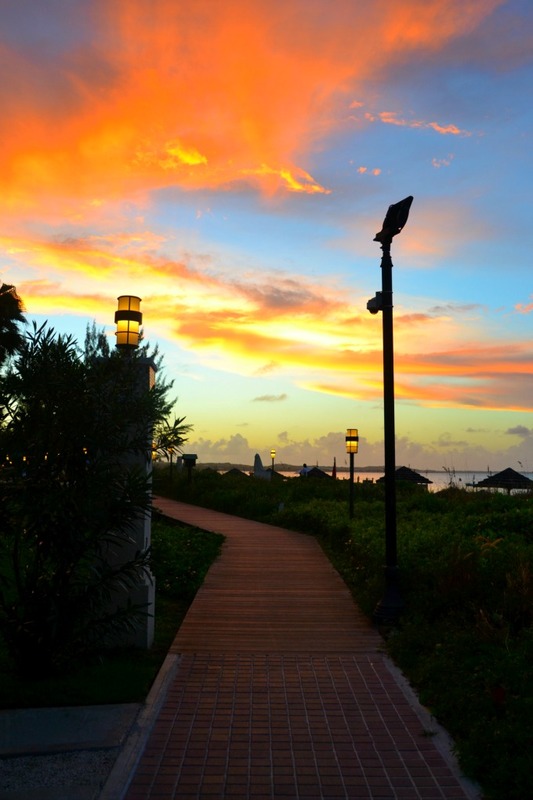 Fantastic buffet restaurant at Bayside and gorgeous rooftop Sky bar. French village: Set back from the beach, with patisserie-coloured buildings and an actual patisserie too. It has a huge pool and houses the big cinema screen and stage too. The waterpark is in between the French and Italian villages. The resort is huge, but somehow feels manageable. In a week, we managed to explore pretty much the whole place, and each village feels quite different but it all works together brilliantly. 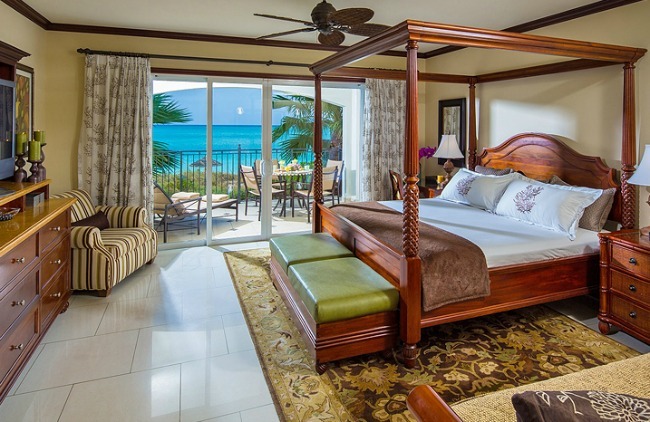 After a bit of confusion, where we were given the wrong rooms (credit to resort manager Jamie: he sorted things out very quickly and was a pleasure to talk to) we were shown to our Italian Oceanview Concierge Family Suite With Kids’ Room. As the name suggests, it was in the Italian village, had a view of the ocean and had a separate kids’ room. And it was beautiful. We had a giant four poster bed, plus sofa and chair to lounge on, and doors that led out to a large balcony with sun loungers and a table and chairs. We got into a bit of a habit of heading back to our room mid afternoon each day, to allow Katie’s girls to nap, and we chilled out for an hour or so. While the four-year-old lay in the cool, semi-dark, room watching TV, I would go out to the balcony to watch the sea or read. The bathroom was huge, with double sink, a whirlpool bath, a walk-in shower and a separate room for the loo. It made me realise how useful a large bathroom is – on quite a few afternoons, the four-year-old would be in the bath (watching Furchester Hotel on her iPad), I’d be in the shower and if Mr P wanted to pop in to the loo, he could. Multi-tasking alert. 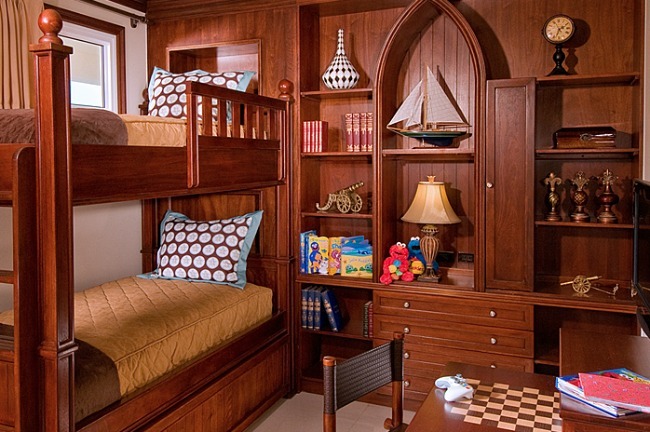 The key to the room’s success, however, was the separate kids’ room, which you could close off with a sliding door. It had bunk beds and a pull out sleeper bed, meaning you can get three kids in there (the main room has a sleeper bed too) plus its own little sink area and a TV and X Box. I can’t explain how brilliant it was to be able to tuck the four-year-old in at 8pm and then go onto the balcony to drink some fizz from the mini bar. The free fizz. Oh YES I haven’t even got to that bit, yet, have I? Beaches (and its sister resorts Sandals) are ‘Luxury Included’ which is their way of saying they’re all-inclusive but they pull out all of the stops to ensure everything really is included, and rather than giving you nasty cheap wine, you get lovely Californian merlot or pinot grigio. It took me a day or so to get used to the luxury included way of life. On Day 2, I still wasn’t convinced that we could just help ourselves to the mini bar in the room and not be charged. “Of course you can!” laughed Katie when I told her. And she was right! As well as the bottle of fizz, we had white wine, red wine and lots of water and soft drinks. We could also just wander up to any bar or restaurant and get drinks (we didn’t even have to show our room key) and eat in any of the 20 restaurants. We also had breakfast twice in Sky and it was DELICIOUS. Like one of the best breakfasts I’ve ever had. On the first day we ate there, I had a trio of pancakes (mandarin, blueberry and chocolate chip) with whipped butter which was seriously good. On the second day, I had a shrimp, gouda and sausage omelette. Again – seriously good. 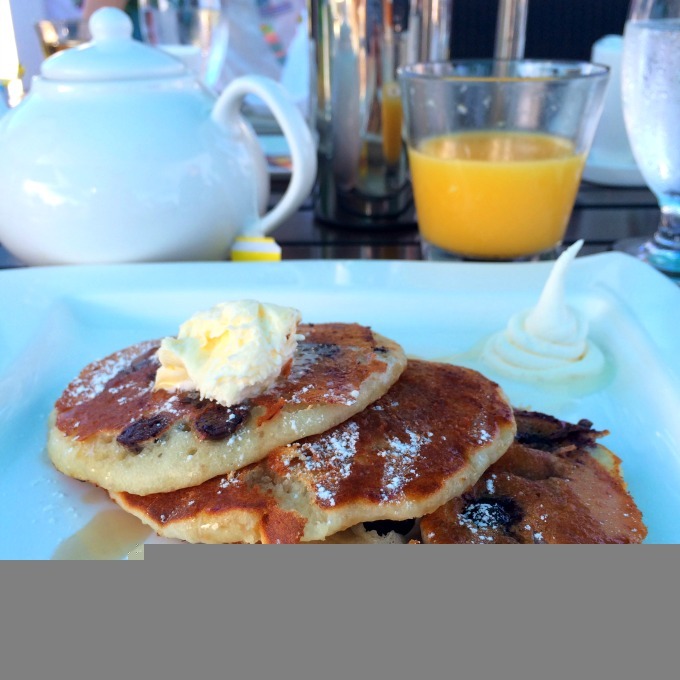 For lunch, we ate in Bobby D’s on a few days – it’s the American style diner at the water park and it’s ideally located for a quick snack in between going on the water slides and the lazy river. They serve burgers (pretty decent ones), pulled pork rolls (a bit too much BBQ sauce for me but Katie was a fiend for them) and pasta. 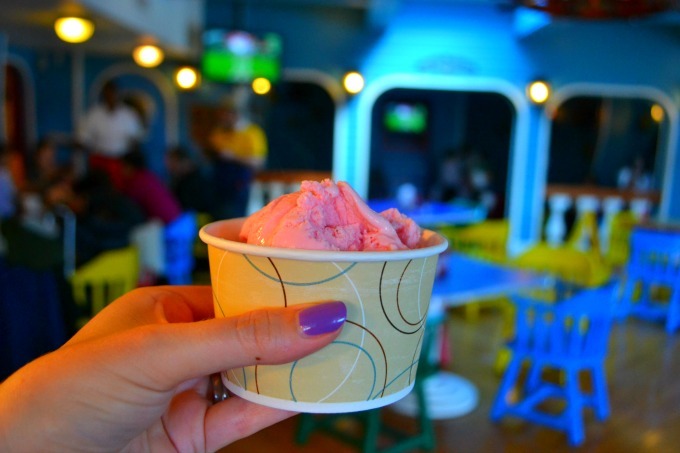 Bobby D’s is also where the candy floss and ice cream bar is – and we ate a lot of ice cream over the week. My favourites were the rocky road and strawberry flavours. At dinner time, we always ate with the kids and apart from a few adult-only restaurants, kids are welcome everywhere. I loved Kimono’s, the Japanese teppanyaki restaurant where chefs prepare your meal in front of you. This is the only restaurant at Beaches that they recommend you book, and I’d say it’s worth it. Aside from the fact that our four-year-old was super tired that night, didn’t eat a thing, and barely cracked a smile for the entire evening, we had lots of fun. My favourite place for dinner was Barefoot By The Sea. It does exactly what it says on the tin, because it’s a restaurant on the beach, where you walk on the sand. Apart from the novelty of dining right next to the sea, this place is top because you choose which seafood you want (from mahi mahi to tuna and more in between), how you want it cooked, which sauce you want and which sides you’d like. I had swordfish, grilled, with a lime and pineapple sauce, with chips and asparagus. It. Was. Fantastic. The kids all refused to eat at this restaurant so all of them had bread and played cards while we ate. But hey, you can’t please everyone, all the time, right? Our days got into a lovely little routine. We’d get up early (jet lag meant I was awake by 5.30am most mornings) and chill out on the balcony while the sun came up, before meeting Katie and her family for breakfast at around 7.15am. Well, we were generally late meeting them all week (how are they always on time and super organised despite having two kids?!). After breakfast, we’d either go and hang out at one of the swimming pools or the beach. On two mornings, we took them to Camp Sesame, the kids’ club for under 5s. While there, they had visits from Sesame Street characters, baking cookies with Cookie Monster and hand puppets with Bert and Ernie, and played pool games in the kids’ club’s own swimming pool. 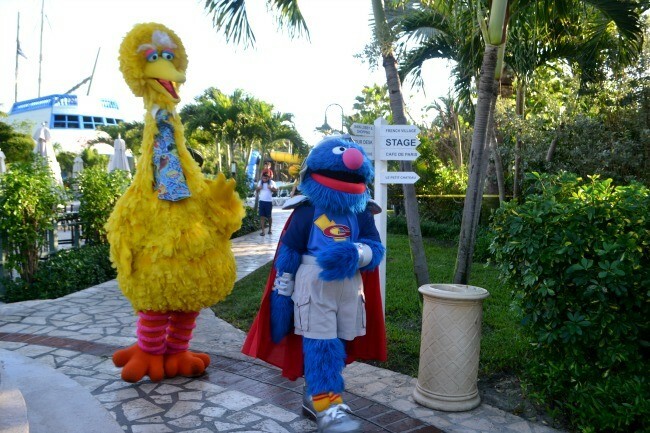 Beaches have an affiliation with Sesame Street so there are characters walking around and lots of shows and fun events with them. It’s one on the things that made our holiday really special. Watching Madagascar 3 on the big screen in the French village with fresh popcorn. Going to the BBQ Beach Party – it had a real festival feel with world food stands, live music, face painting, twinkly lights and a Sesame Street stage show. So much fun! Watching the Sesame Street parade – this had a fiesta atmosphere and despite the four-year-old refusing to watch it, and choosing to sit in the Italian Village reception, the rest of us loved it! Watching the Sesame Street show on the stage in the French Village – we saw this twice and loved it both times. Have Elmo come and tuck in the four-year-old one night ($85 per child) – you can choose which character you’d like and they come with someone who reads your child a story and a photographer who takes pictures (you get one 5″x7″ print included and you can buy others). It’s such a special experience, and the four-year-old just LOVED having Elmo come to her room and hang out for 15 minutes, especially after seeing him on stage and treated like a ‘celebrity’. Go on a Sail Away Sesame Street Cruise ($35 per child) – this was one of my holiday highlights. 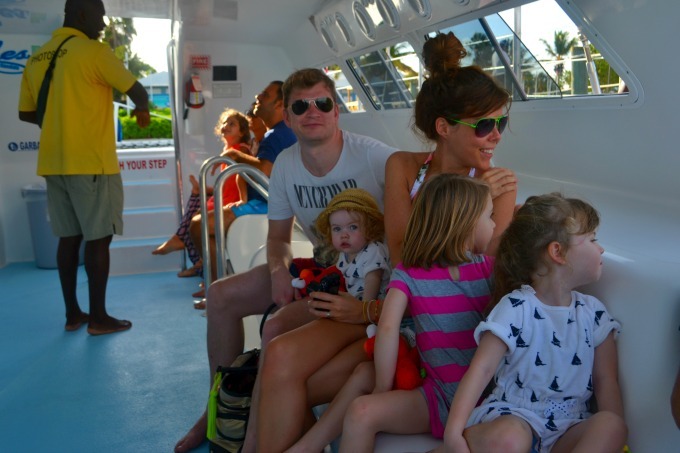 You go on a catamaran from the beach and sail for 90 minutes. 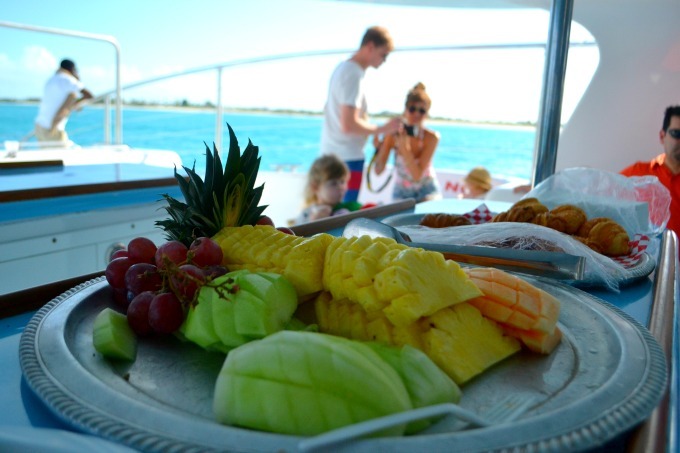 On the boat, there’s a light buffet and full bar (the four-year-old ate ALL the crackers) but more importantly, we had Elmo and Zoe on board and a DJ who played party tunes and got all the kids up dancing and having fun. There’s a few chances to have your photo with the characters, and the kids are all given a Sesame Street cup and finger puppet. Eat breakfast with the Sesame Street characters ($12 per adult) – this happens twice a week and it’s another brilliant chance to hang out with Elmo and co. It’s done really well, in that you arrive at 8.30am and a few characters are there to greet you (we had Big Bird, Oscar the Grouch and Grover) before you queue up for a buffet breakfast (mmmm pancakes and bacon) and then, as you eat, even more characters arrive, which creates a real buzz of excitement. We had Abby Cadabby, Zoe, Elmo, The Count, Bert, Ernie and Cookie Monster all arrive and each character works its way around the tables, meeting all the kids. They’re all given a cup and puppet here too. 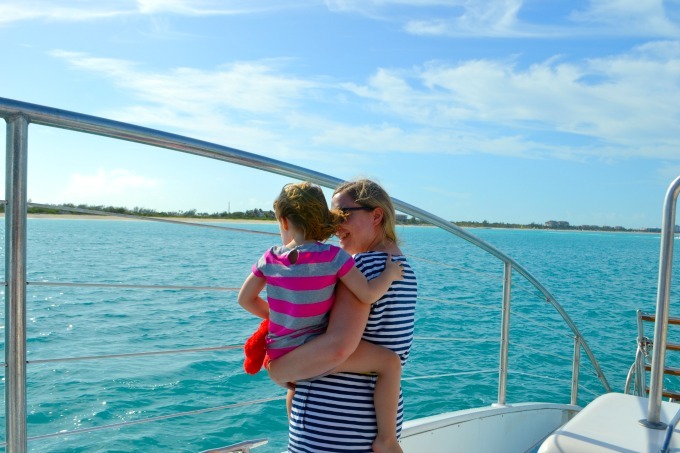 There were so many things to keep the kids busy – take a look at this post I wrote over on Space In Your Case which lists 50 things kids can do, from riding on the free Choo Choo train and having their hair braided to learning to snorkel and tie-dying t-shirts. 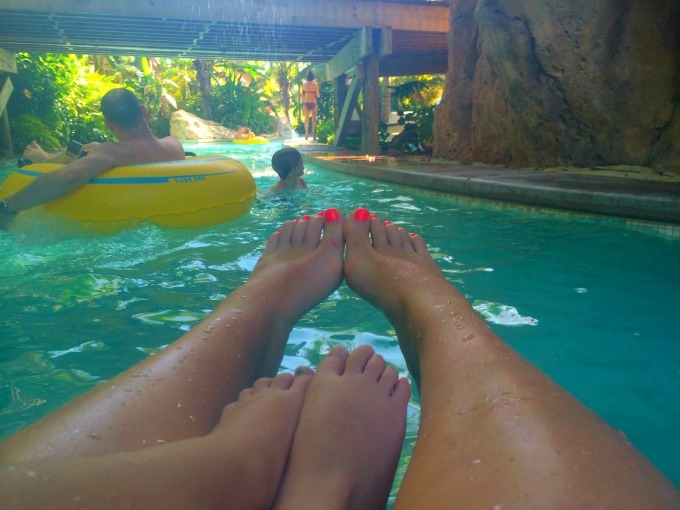 • Playing in the water park – it has loads of slides, a kids’ jacuzzi, a swim-up ‘cocktail’ bar, a lazy river and a big pirate ship with slides and water jets to run through. 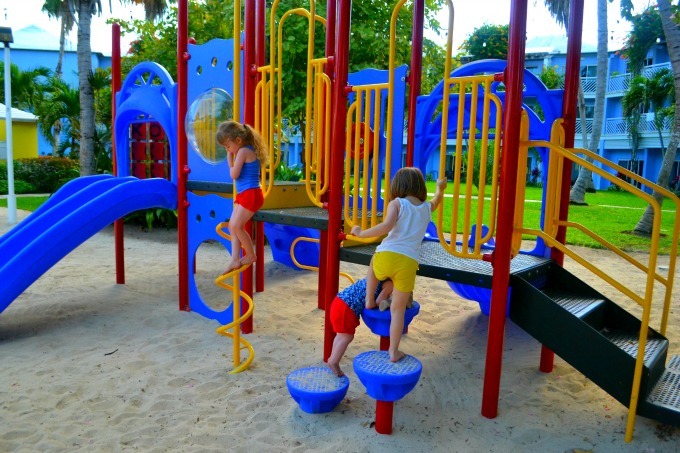 • Playing in the play area – so much more fun than the local park! • Going down to the beach to build sandcastles – waiters from the bars even come down to hand out bottles of water down there. We went down one day, just as the sun was setting, and it was such a lovely time to hang out there. When I say we’re already planning our next trip to Beaches, I’m not even joking. It was a truly amazing place for a family holiday and we’ll definitely be back. 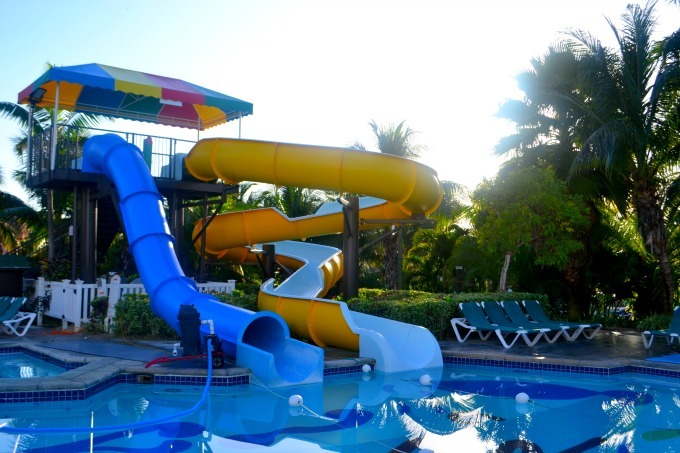 It’s not cheap – seven nights at Beaches Turks & Caicos Resort Villages & Spa for a family of three (two adults and one child) starts from £4,885. 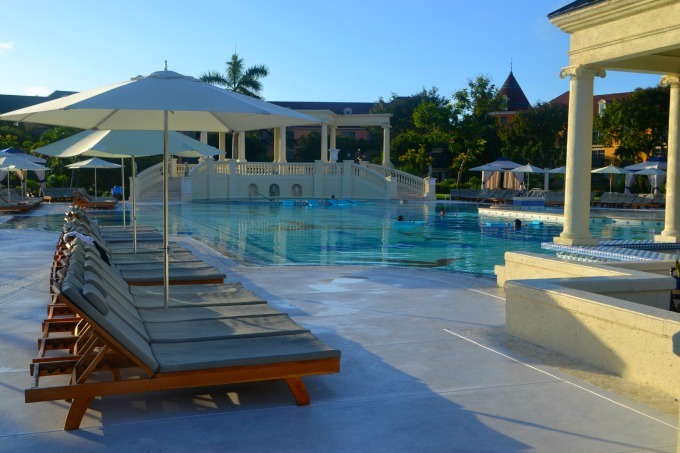 Price includes Luxury Included (all-inclusive) accommodation, return flights from London Heathrow and resort transfers. Valid for travel from 30th August – 18th October 2015. But if you were to ask me if it’s worth saving up for? YES! You won’t regret it. 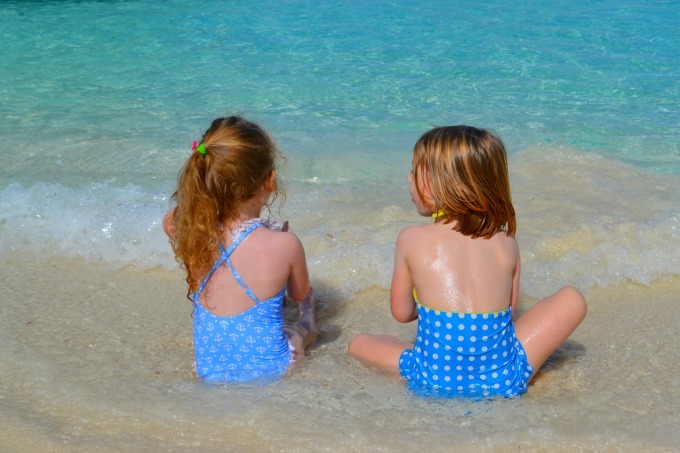 For a limited time only, Not Another Mummy Blog readers are eligible for an exclusive £100 off per Beaches booking. The offer is valid for holidays booked by 28th February 2015 and valid for selected travel dates up to 5th December 2016. 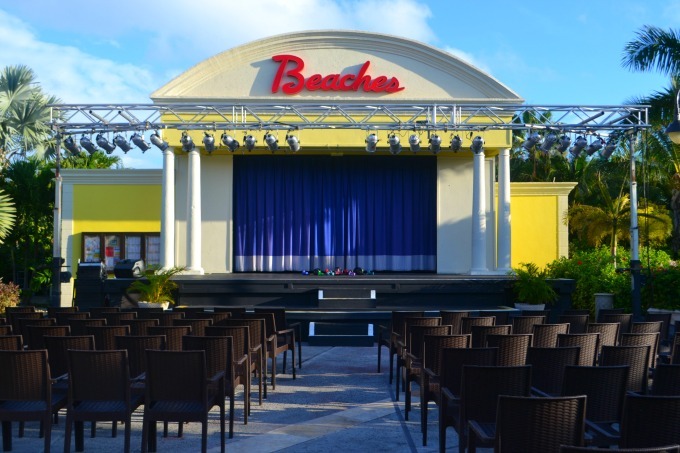 To book, visit www.beachesresorts.co.uk or call 0800 597 0002 and quote BEACHES. Book by 28th February 2015. For the extra £100 discount per booking, please quote ‘BEACHES’ when booking. Valid for selected travel dates up to 5th December 2016. Available to air inclusive packages only. Min stay 7 nights. Not combinable with any other promo code offer. Blackout dates and terms and conditions apply. 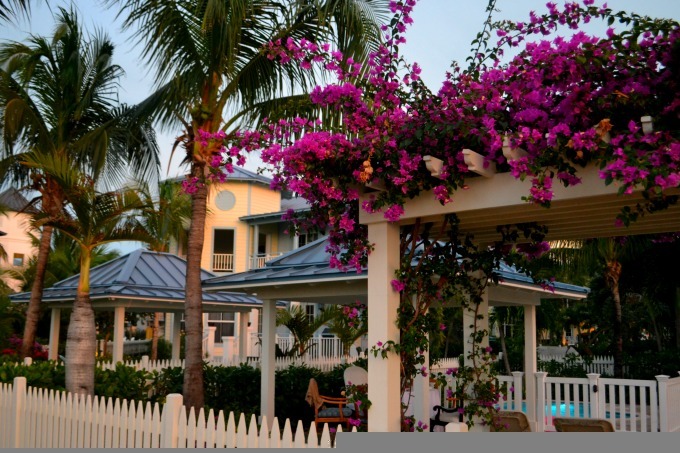 • Massive hugs and kisses to Beaches for inviting us to stay at Beaches Turks and Caicos Resort Villages & Spa. As you can tell, we genuinely loved it. I’m sold!! 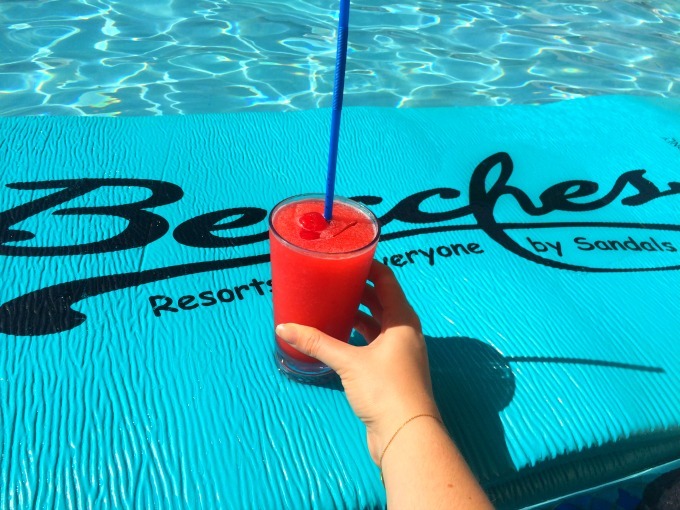 Admittedly, the bananas gang aren’t your typical ‘package’ holiday types, but it’s clear from hearing all about your escapades & reading this, that Beaches are no ordinary holiday operator! & To be honest, although it’s not ‘cheap’, I actually think for everything that you get & the quality, It’s a really good price. I’m actually seriously considering this… Well, it’s not every year one turns 30, eh?! 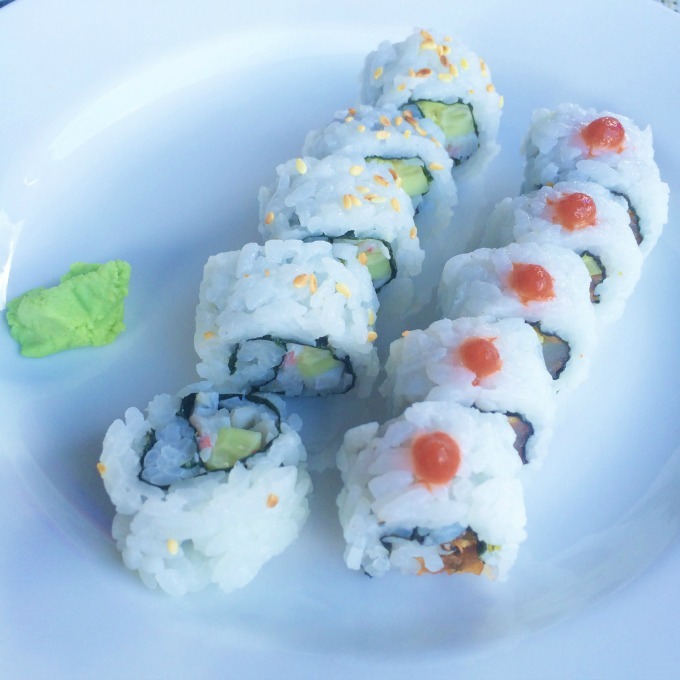 Just one question, do you know what their food is like in terms of catering for food allergies? (A make or break deal of us, as you know). Gawsh, I’m off to daydream now!! Katrina recently posted…Memories of a miscarriage. Why don’t you check it out? A brilliant review of a totally fantastic place! It looks like you had a stunning time. Verily Victoria Vocalises recently posted…Post Comment Love and Newbie Showcase 23rd to 25th January 2014. Why don’t you check it out? It all looks just so fabulous! I think I’d love any one of the villages, the food sounds perfect, and really, the location is just a dream. I would definitely save up to go there! 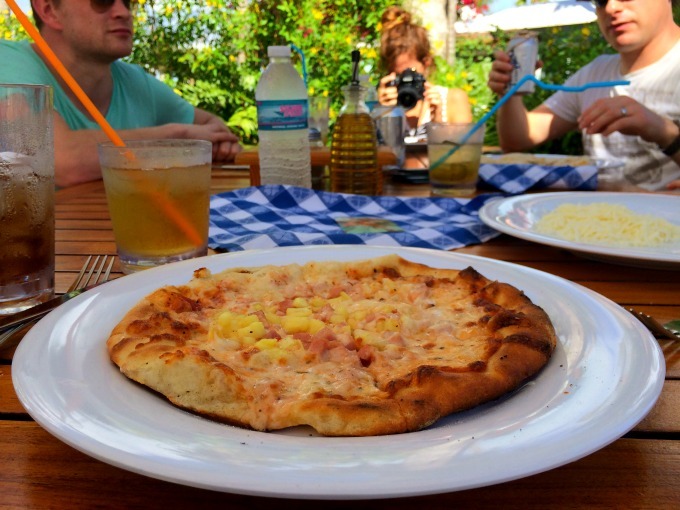 Helen recently posted…A Taste of Travel: my menu. Why don’t you check it out? Richmond Mummy recently posted…Happy 40th Birthday – Tristanne. Why don’t you check it out? Honestly, I cant recommend it more highly! You would love it. Notmyyearoff recently posted…Dearest Little Z at 4 years and 1 month. Why don’t you check it out? Chloe (Sorry About The Mess) recently posted…January Skincare. Why don’t you check it out? Ha ha – the food really was fab. I think the key to surviving a long flight with a smile is the preparation. I’m going to do a post on this soon. Great write up! The pictures are the most telling – you all look so happy! Loving the holiday spam in dreary January! Megan – Truly Madly Kids recently posted…Photography – it’s all about light.. Why don’t you check it out? OH YES PLEASE! What fun. I’m wildly jealous and saving this review to read again later – enjoying your holiday is probably the closest that I’m going to get of one of my own for a while (I have 3-month-old twins…)! What a gorgeous time you must have had, thank you for sharing it with us! Amber recently posted…Mothers, Be Photographed with your Babies!. Why don’t you check it out? 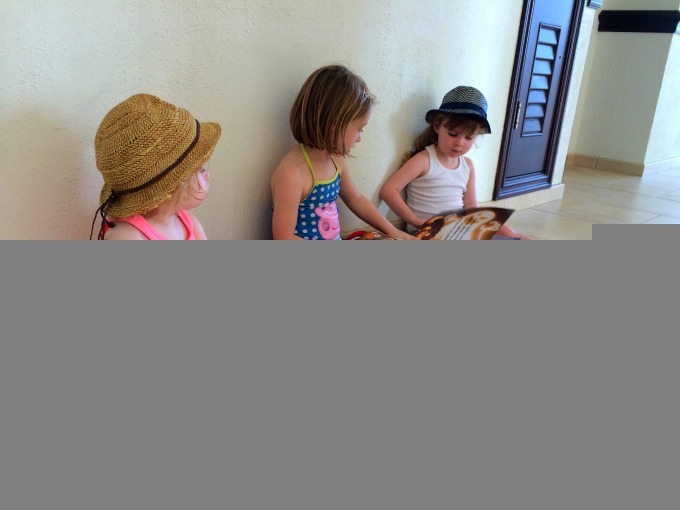 Donna recently posted…Window Watching – The Ordinary Moments. Why don’t you check it out? 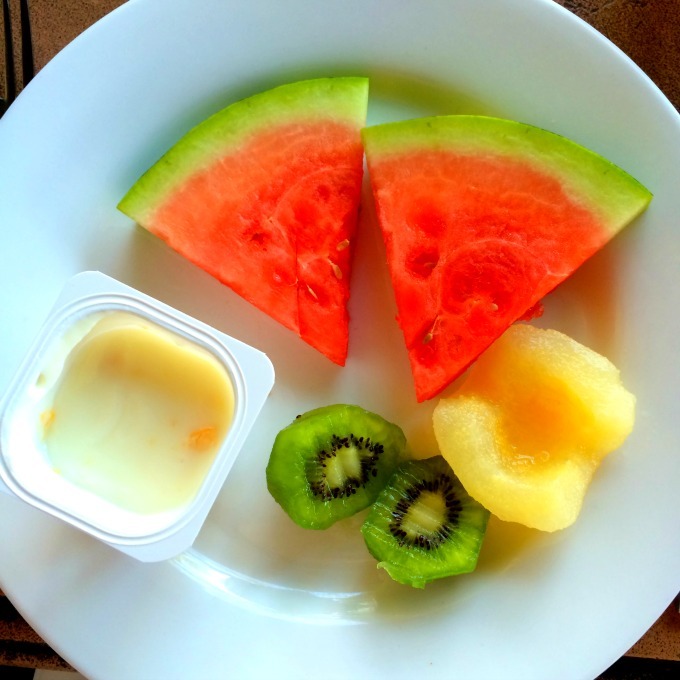 I’ve never been on an all-inclusive holiday before and I’m not even a big fan of ‘package’ holidays but the fact we could order food and drinks at our leisure made the holiday more relaxing – we didn’t have to think about money once, all week. Rachael Lucas recently posted…we’re on a break. Why don’t you check it out? There was loads to do for older kids too Rachael – they can learn to DJ and go on a tween/ teen cruise with no parents. Ohhh wow that looks absolutely ah-mazing! 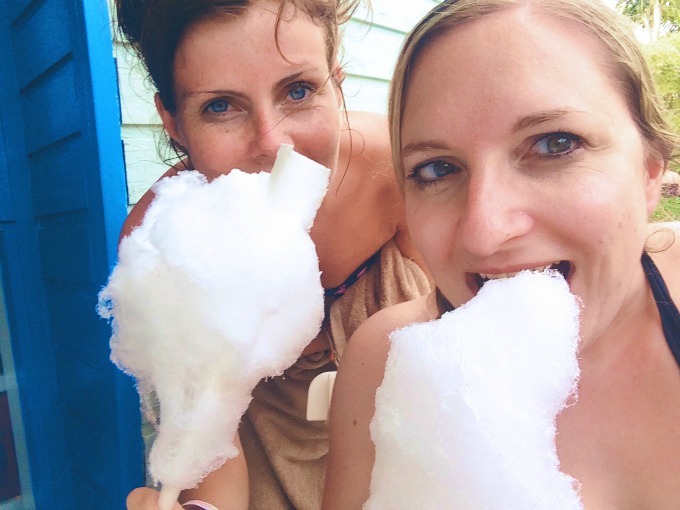 Emma in Bromley recently posted…Nanna Betty, The Last.. Why don’t you check it out? Polly recently posted…Vega – 4 week update. Why don’t you check it out? 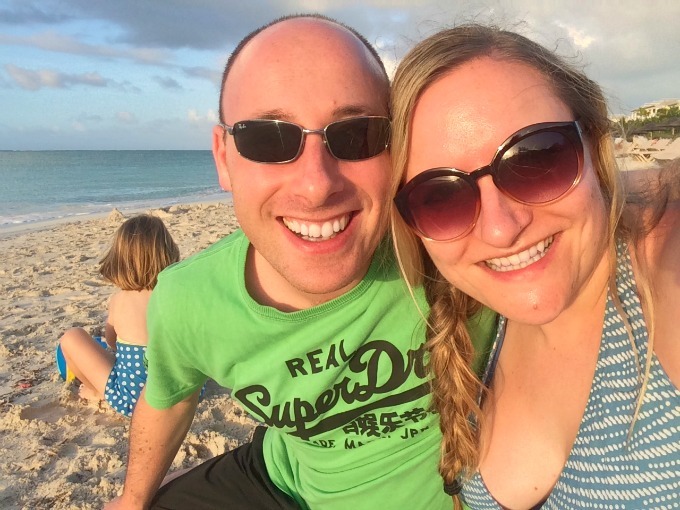 Katie @mummydaddyme recently posted…A Year of Adventures with Subaru- #XVAdventure.. Why don’t you check it out? Morgana @ butwhymummywhy recently posted…The house that untidies itself. Why don’t you check it out? What an idyllic place to go on holiday! Very thorough review too – you covered everything and then some. Yet again, I’m missing the sunshine! Molly recently posted…Capturing baby bedtime. Why don’t you check it out? Kathryn (@KatGotTheCream) recently posted…Try this: Get out in the garden during winter with a fire pit. Why don’t you check it out? Wowee, what an amazing time! I love the look of the rooms, especially. 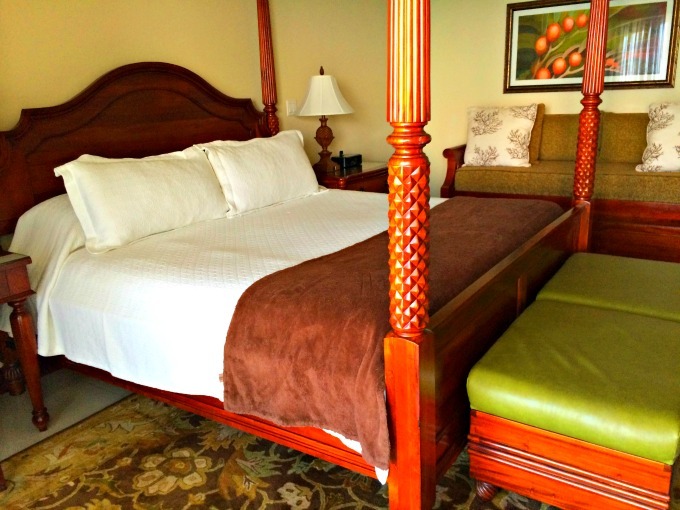 Always love a four-poster bed. I’m trying to convince Laurence that our room is not too small for the one his grandparents brought over with them from Jamaica when they moved here. So lovely for kids to go on holidays like this with friends. We need to organise to do that. 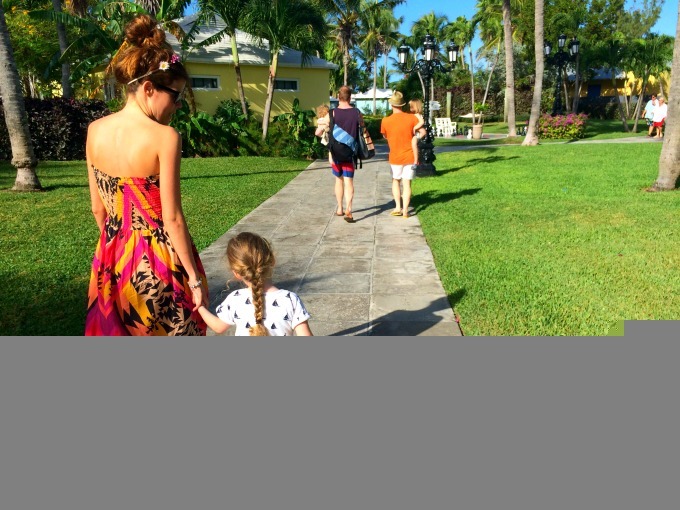 Talitha loved our Caribbean trip (sounds so exotic, but we were just going home) but she was definitely missing other children. This post is a real feast for the eyes! Adele @ Circus Queen recently posted…Start as you mean to go on?. Why don’t you check it out? Potty Mouthed Mummy recently posted…Newbie Class: Part 28 (feat. 23 Week Socks). Why don’t you check it out? these pictures are so awesome! Your room really looks like the one in the publicity picture too which must’ve been such a buzz! Such a lovely holiday, it looks like. eleanor recently posted…Thinking about summer already? – affordable kids clothes from House of Fraser. Why don’t you check it out? 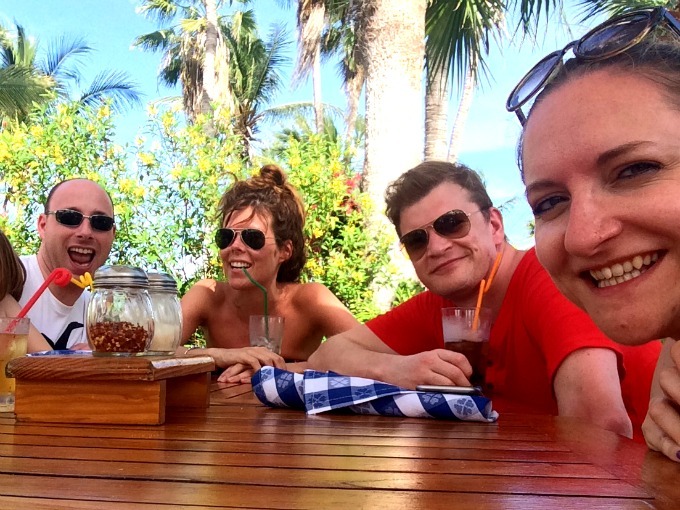 Jess @ Along Came Cherry recently posted…A Day At The Beach In January 2015. Why don’t you check it out? 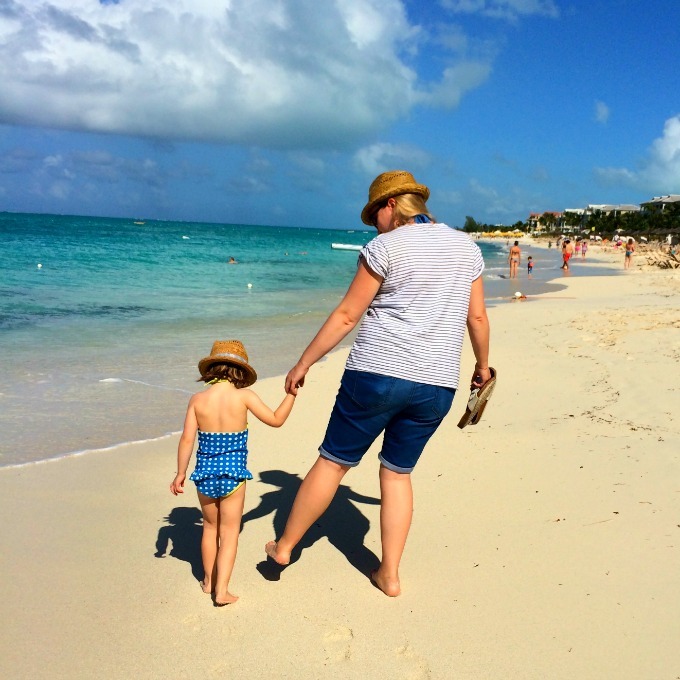 brummymummyof2 recently posted…Ten Things I Hate About Two. Why don’t you check it out? Little Likely Lads recently posted…An injection of colour to your winter outfit. Why don’t you check it out? I can’t even begin to say how amazing it looks! After a really bad experience of a package holiday (for our honeymoon non the less) I had sworn off them, but something like this might actually (scrap that, DEFINITELY) convince me otherwise! You lucky things! abigail recently posted…Happy birthday!. Why don’t you check it out? I am so jealous in every way. 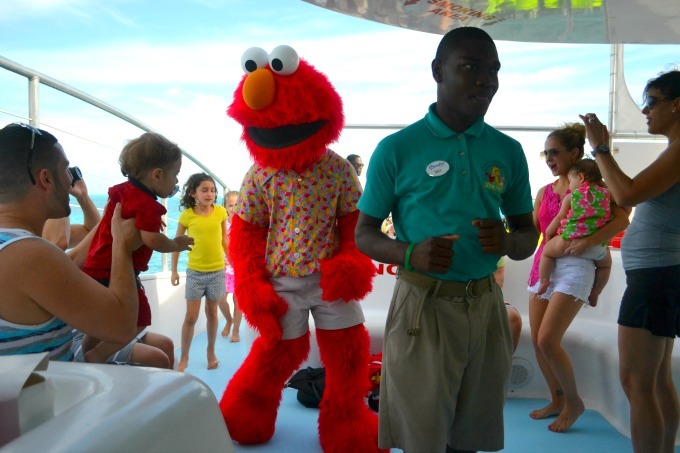 A boat ride with sesame street characters?! Amazing! Penny A Residence recently posted…Find of the Week – Valentine Vase, Just Needs Blooms. Why don’t you check it out? Lucky ladies. Holidays dreams are made of. I am sat here looking at your photos and wishing, one day maybe! thisdayilove recently posted…Project 365 : Week 5. Why don’t you check it out? Fritha Strickland recently posted…A little date and a valentines outfit – What mama wore. Why don’t you check it out? This is absolutely heavenly! You guys had so much fun eh? It shows, totally! 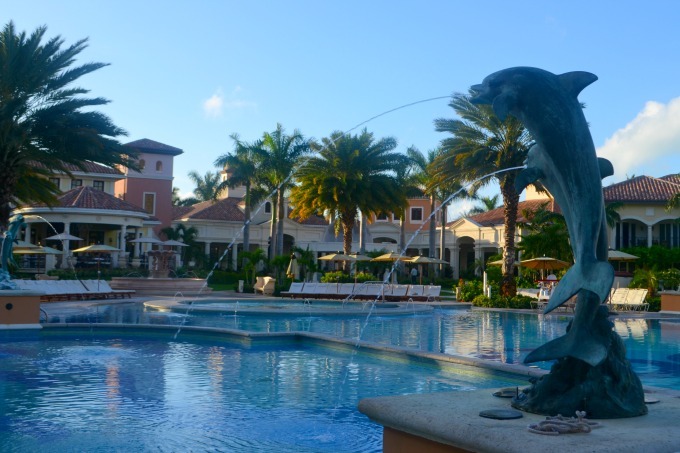 The place is so beautiful and the resort, oh my god, absolutely stunning. 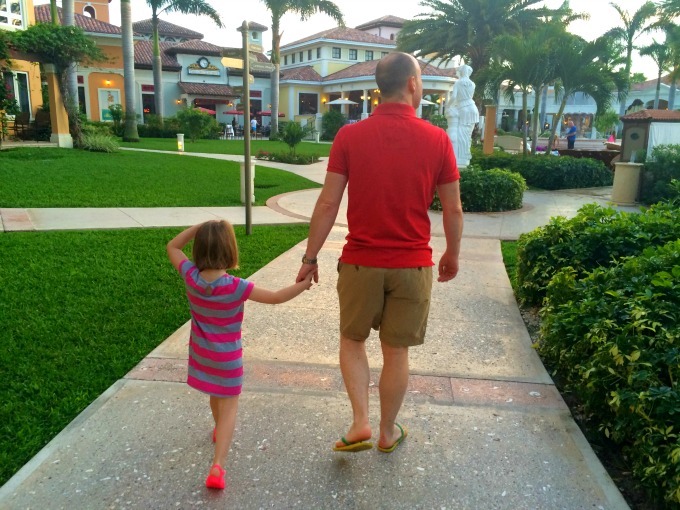 Going for a vacation with your kids can be totally tricky, but you guys absolutely nailed it! I bet the kids have a great time as well. Beach time is always fun for the kids eh? Even for us adults too! 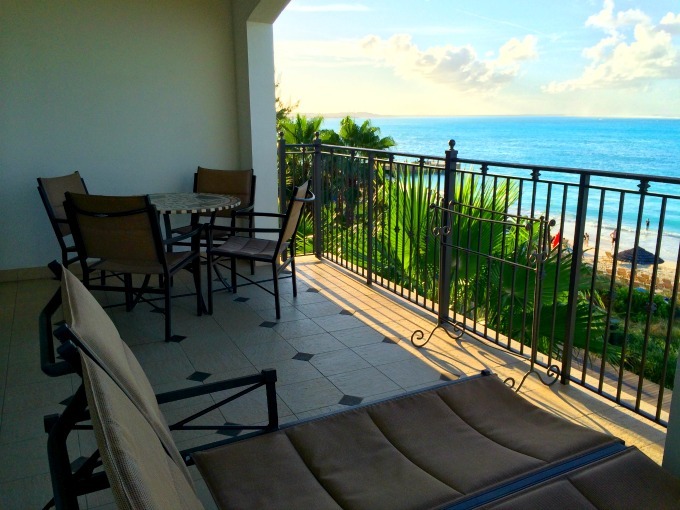 If you guys love the beach you guys will love the ocean view from our villa. You guys can also explore and hike for the waterfall! 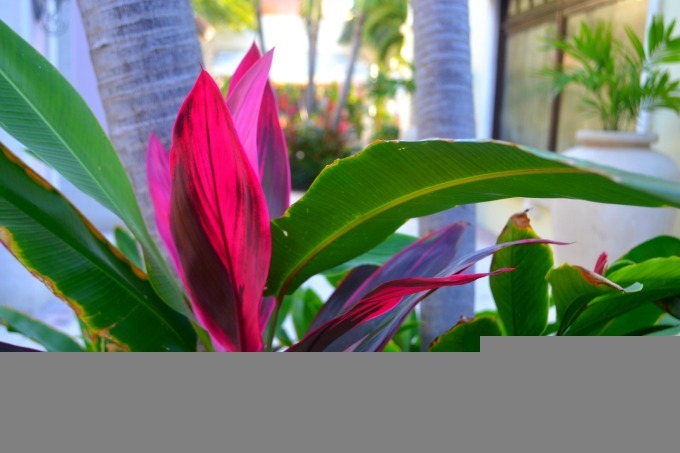 Please do check us out and find out how amazing our villa is! Thank you.